Experience the Blue Ridge Mountains like never before in Helen, GA! This little city is packed with a whole lot to do, whether on a romantic getaway touring wineries, or out floating down the Chattahoochee River with friends, there is something for everyone here in the Alpine City. In Helen, you can also catch a glimpse of Germany in the Southeast’s finest Bavarian Village­! Experience cobblestone walkways, Alpine food and drink, natural beauty, wineries, artisan tours, festivals, and so much more! Visit Nacoochee Outdoor Adventures (just 0.7 miles away) for a dynamic flight through the skies on their thrilling zip line course. Float down the Chattahoochee River with Cool River Tubing (0.4 miles). Tubing through the exhilarating head waters, cruising through the clams and enjoying a day on the water. Two trip options give you a great chance for adventure. See the spectacular double waterfalls and learn more about local history at Anna Ruby Falls (1.6 miles). Visit thousands of acres of wilderness with great lakes for fishing, swimming and canoeing, and woods perfect for birding, hiking and biking at Unicoi State Park (1.6 miles). Smithgall Woods State Park (4.4 mi) offers trout fishing, hiking, biking, bird watching, archery, geocaching and more. Shop for hidden treasures, beautiful antiques and unique items all at the Nacoochee Village Antiques Mall. Our hotel is just 0.7 miles away! Get your fill of high octane fun at Alpine Extreme Speed Go- Karting (0.9 miles). Zoom around the track, race your friends and enjoy the high speed exhilaration. Some good family fun awaits, right down the road from our hotel. Make sure to also explore North Georgia Zoo, Pirates Cove Adventure Golf, Sunburst Stables and more. Don’t miss these events at the Helen Festhalle (part of the Helen Chamber of Commerce building). Bavarianfest is May 27th, just 0.3 mi away! Taste the sweet side of life at Hansel and Gretel Sweet Shop (0.6 miles). Enjoy handmade delicacies from chocolates to peanut butter brittle. Grab some treats for yourself or as a gift for a friend. Enjoy a hot meal during your stay at Huddle House (0.3 miles), Bodensee Restaurant (0.4 miles), Paul’s Steakhouse & Seafood (0.4 miles), Cafe International (0.4 miles), Wendy’s (0.4 miles), Old Heidelberg German Restaurant (0.5 miles), Troll Tavern (0.6 miles), Habersham Vineyards & Winery (0.7 miles) and Hofbrauhaus Restaurant (0.8 miles). Enjoy a special occasion at Red Roof Inn Helen. Request to have wine & wine glasses, chocolates & more sent to your room (service available year round). Visit four wineries by tour vehicle, eat some delicious food, and breathe in fantastic views during the North Georgia Wine Tour by VIP Southern Tours. Just a few miles away from our hotel! See the Tour dates here, on most Thursdays, Fridays, Saturdays and Sundays! Visit Yonah Mountain Vineyards (8.6 mi away) on Saturdays and Sundays to enjoy Tour de la Cave & Barrel Tasting (wine cave tour and tasting). Visit nearby attractions like Kaya Vineyard & Winery. Visit a family member or a friend, explore the campus or catch a sporting event at nearby Truett- McConnell College (only 7.4 miles away)! The SNCA (4 mi away) offers the entire Northeast Georgia region a major Folk Pottery Museum – classes and exhibits in the visual arts – performances by the best of national and regional musicians, dancers and actors, and varied educational programs for both adults and children. Don’t miss their weekly Yoga Classes for students of all levels. 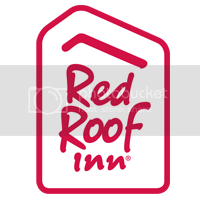 As our guest at Red Roof Inn Helen, you will experience an outdoor pool, recently renovated rooms, free WiFi, flat-screen TVs, cable with HBO, a microwave & refrigerator, a hair dryer, an iron & ironing board, a work desk, and in-room coffee. In the morning before you start your busy day exploring all Helen has to offer, make sure to enjoy our free continental breakfast. Stay with us. It’s Coming! The RediRewards Sweepstakes!